Does Amazon Send Notifications for Negative Ratings? Does Amazon send notifications for negative reviews or feedback? If you sell on the Amazon marketplace, you've probably asked yourself this question at least once. Perhaps there's a setting in your Seller Central account that you just need to enable. Or, perhaps it's simply not possible. Either way, you've just been too busy to find out the answer. This post offers the answer to your question about Amazon rating alerts. As you might have suspected, Amazon.com, Inc. ("Amazon") does not send email notifications to merchants when negative ratings have been received. In fact, as the company points out on this seller help page, "Amazon does not notify sellers when new reviews are posted for the products they sell." This policy also holds true when it comes to seller feedback. In short, Amazon doesn't send rating alerts of any kind - be they negative, positive or neutral. This lack of alerting creates a unique predicament for the third-party seller. For example, if we're talking specifically about seller feedback, Amazon expects merchants to take prompt action and resolve negative ratings. As Amazon discusses in this guide, "We encourage you to resolve any situations by researching the root cause behind each negative rating, addressing the buyer's concerns, and making improvements to your processes and policies." (Note: Amazon product reviews have a different set of rules to follow. Learn about the difference between feedback and reviews here.) Of course, time is of the essence. Each passing hour drastically reduces your chances of resolving the customer's issue - and, in turn, reduces your likelihood of removal. So, how can sellers be expected to take the appropriate action if Amazon doesn't send rating alerts? Some merchants spend countless hours manually monitoring the feedback history and individual product detail pages. Others hire freelancers or delegate this job to administrative assistants. This time-intensive process, although better than nothing, is very costly and highly inefficient. It's also susceptible to human error. If this type of tracking doesn't fit into your already busy schedule, there is a more automated solution: FeedbackFive. FeedbackFive is an online feedback management platform, built specifically for the needs of Amazon merchants. Sellers have trusted our platform since 2009, and for good reason. 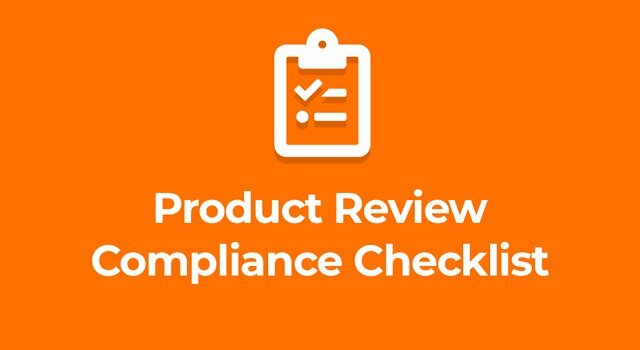 In addition to helping merchants successfully solicit more than 50 million positive feedbacks, our tool provides a 360-degree view of your Amazon seller reputation. It also keeps you in the loop, sending you emails (and/or text messages) when negative feedback or customer reviews have been received. Overflowing inbox? No worries. Just opt for our summary report instead, which sends you a daily digest of your Amazon reputation. In addition to sending rating alerts, FeedbackFive also keeps an archive of your Amazon seller reputation data. View reviews, feedback and customer comments in a secure online portal. Filter, sort and export your reputation data for further analysis. FeedbackFive even helps you automate the time-consuming process of managing negative ratings. Trying to resolve a nasty 1-star feedback? Filing a claim with Amazon is only a click or two away. If Amazon won't remove it, you can also use FeedbackFive to follow up directly with the customer, resolve the issue and request removal. Remember, Amazon doesn't currently send email alerts for negative reviews or feedback. The good news is that FeedbackFive is here to help. Sign up for a free trial and enable rating alerts today.